"Condos are the only affordable option for average first-time homebuyers in Canada’s largest city, according to data from two real estate authorities released Monday. The Re/Max Hallmark Ltd. Homebuyer Survey found those planning to buy their first home in the Greater Toronto Area over the next 18 months expect to spend $455,000 on average, with a mean down payment of 22 percent. That puts detached, semi-detached, and townhouse living well out of the average price range in the 416 area code, according to the Toronto Real Estate Board’s (TREB) September resale housing figures. The average condo in Toronto costs $418,603 according to TREB, a 5.6 percent year-over-year increase. Townhouses – the nearest alternative to condos in terms of price – saw the fastest price acceleration in the 416 region, surging 10.8 percent year-over-year to $527,257. Average detached home prices jumped 10.7 since last September to $1,053,871, and semi-detached prices increased 7.3 percent to $740,373. TREB found the average price across all housing types climbed 9.2 percent from a year earlier to $627,395. Combined home sales in September were up 2.5 percent to 8,200, a figure TREB says could reach 100,000 by year’s end despite the steeper prices. Bidding wars are also expected to remain the status quo for the remainder of the year. “While September was the second straight month where annual growth in new listings outstripped annual growth sales, total active listings at the end of the month still remain below last year’s level. This, coupled with the record pace of sales experienced so far this year, suggests that competition between buyers will remain strong as we move into the fourth quarter. Expect strong rates of price growth to continue through the remainder of 2015 and into 2016,” said TREB director of Market Analysis Jason Mercer in a news release. All of this is likely to translate to a great deal of disappointment for some buyers. 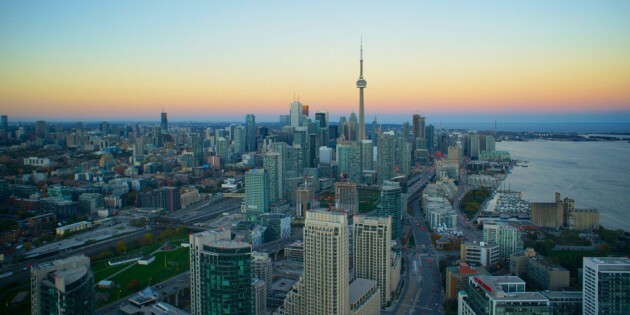 Over 60 percent say they are looking for property in the City of Toronto, and 56 percent say they prefer detached homes, according to the Re/Max Hallmark survey. While detached housing outside of Toronto is considerably more affordable at $732,852, prices are still well beyond the average budget. Millennials will bear the brunt of the disappointment. The survey found 18 to 34-year-olds make up 57 percent of those shopping for a home. “The emphasis that millennials, in particular, place on homeownership is especially interesting. It appears owning a home is just as coveted by those born between the early 1980s and the early 2000s as in previous generations,” said Ken McLachlan, an owner and broker at RE/MAX Hallmark in a release."